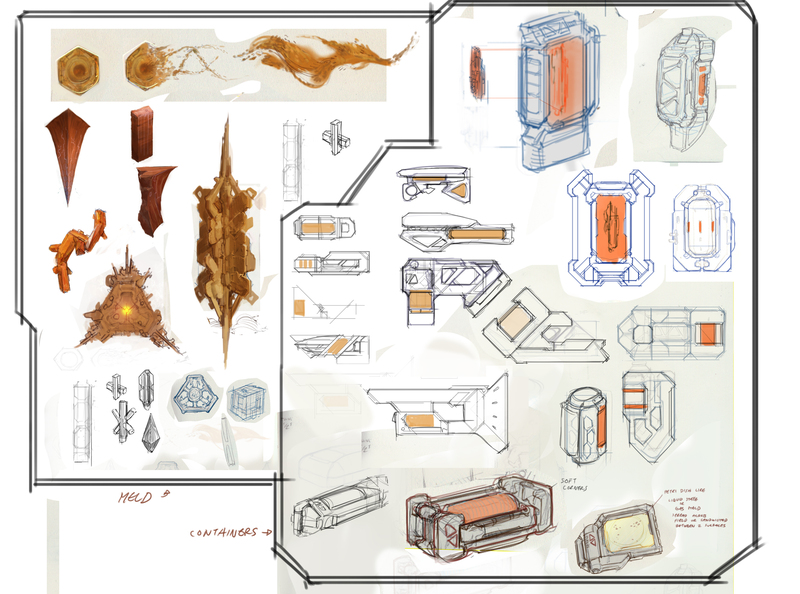 Lead Designer Ananda Gupta discusses the new resource, MELD, with The Escapist. When I heard there was another XCOM in the works I was more than a little excited. I maintain that XCOM is the greatest videogame ever made, and the 2012 XCOM: Enemy Unknown was a faithful enough interpretation of the original to garner my Game of the Year nomination for last year. I have to assume that they've made Enemy Within, which is slated for a November 12th launch in N.A. - the 15th elsewhere - in an effort to get this year's nomination as well. Based on my experience with the demo, I have to say, it's definitely in the running. I had the opportunity to ask a few questions of Ananda Gupta, XCOM: Enemy Within's Lead Designer, about the latest tool in Earth's fight against marauding aliens, MELD. First things first, of course, what exactly is MELD? "Meld is a suspension of nanomachines whose purpose is to fuse organic and inorganic materials," said Gupta. "It's a tool used by the Ethereals to create monsters like the Floater, and to boost the already-fearsome Mutons." MELD is actively being used by the aliens in their ongoing human experiments. With that setup, it's easy to understand why MELD starts showing up from the get go in Enemy Within. "Meld will be in the game from the first map," confirmed Gupta, "if you recover Meld on your first mission, it'll be one of the very first research projects you have access to." MELD Recombination research should become available around the same time as Weapon Fragments or Alien Materials, which you get pretty much immediately. 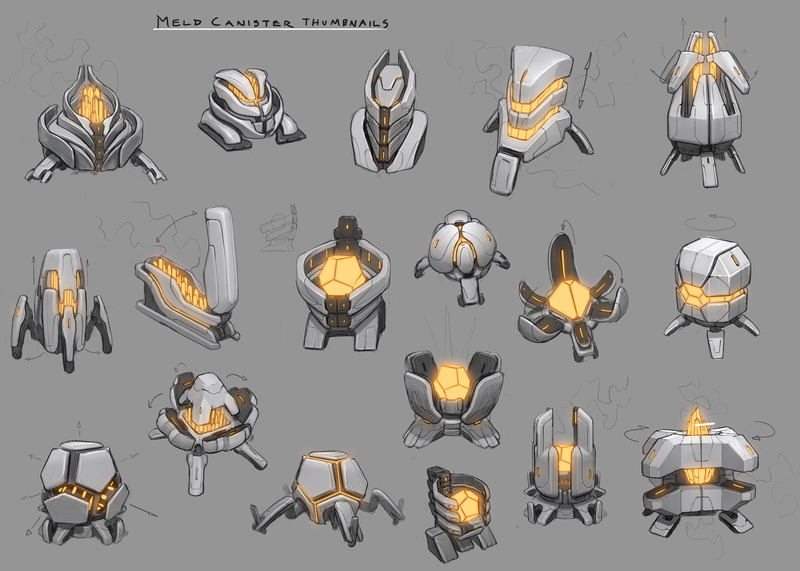 With an idea of what MELD is, I was particularly curious to know just how it interacted with soldiers to allow for genetic modification. "Dr. Vahlen's team discovers that MELD can be used to insert sequences of alien DNA into humans, giving them some of the abilities of that alien," responded Gupta, "For example, the muscle fiber density of the Thin Man can be copied to give soldiers the ability to leap huge heights. Dissecting a Chryssalid allows you to learn the secrets of bioelectric skin." So, in short, as you perform alien autopsies, you get access to their individual DNA, which opens up avenues for genmodding your troops with various abilities. From my understanding, these modifications are similar to skill trees, so you can choose one of two modifications for several body parts, like legs, eyes, etc. You won't be able to create a genmod soldier with every modification, but you'll get to customize your soldiers as you need for a given mission. One thing that really worried me about MELD is the timer on collecting the resource. If you played Enemy Unknown, you'll be familiar with the concept from the bomb disarm missions, where you had a specific number of turns to disable a number of bombs scattered around the map. MELD will be similar, in that you have to collect it before the timer expires, else it goes away. The burning question here is, "Why?" It could just as easily have been implemented like Alloy or Elerium, with passive collection. "Meld containers on timers were introduced, in part, as a way to reward players for taking a bolder approach to tactical missions," said Gupta, mentioning that move/Overwatch strategies had taken some of the dynamism out of missions. "We wanted to give players a reward for breaking out of this safest strategy, and access to this resource which is helpful, but not required, turned out to be a very effective way to do that." The narrative explanation isn't exactly groundbreaking, but it's better than a random timer without justification, at least. "The idea is that the aliens view Meld as a valuable resource, and so the canisters have self-destruct timers that can prevent unauthorized elements (read: XCOM) from getting their hands on it," Gupta explained.